The job is done right. Schweiss Provides you with step-by-step procedures on how to install your Bifold Door. Installing the door yourself can cut costs. Many customers choose to install their own doors. We also have phone support service to answer any questions you may have during installation. 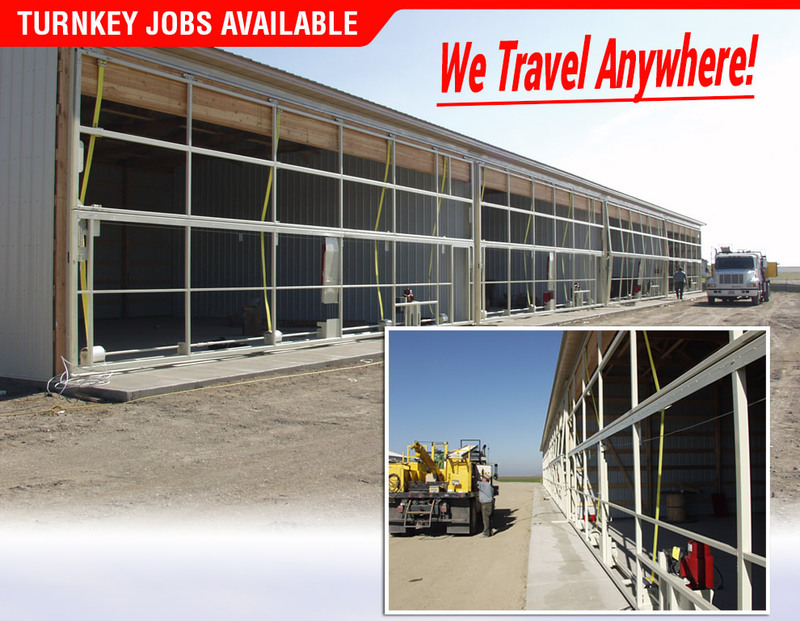 You may also have a qualified local contractor install your door. All of our Bifold Doors are shipped fully assembled. We provide all necessary hardware for installation. We have our own crews travel to the job site. Schweiss does a "Turnkey Job!" When Schweiss installs, we deliver the door to the job site. Schweiss has its own crews to install your door. We deliver the door and completely hang it so it's fully operating when we're done. We charge for the installation and mileage costs. Install representatives from Schweiss will supervise the assembly and installation of your door. We have an on-site supervisor to take you through each step of installation. 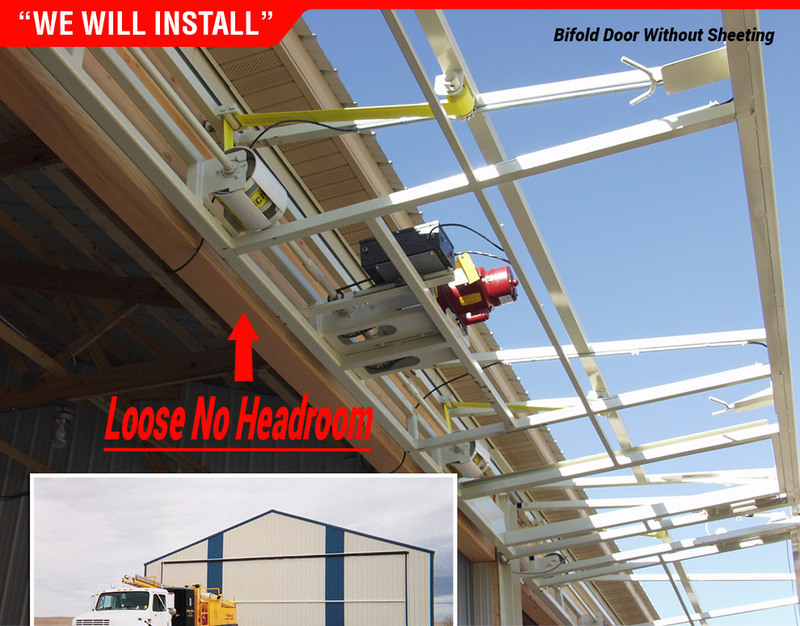 This saves money and ensures proper installation. Test and adjust controls and safety items. Inspect operating hardware items, leaving doors safe and in proper operating condition. Review with the owner the information in the installation and maintenance manuals. Train owners, maintenance personnel on procedures and schedules related to startup and shut down, operating, troubleshooting, servicing and preventative maintenance. doors except the outside sheeting! opening and lose no headroom."